So February seems to have flown by and it was quite difficult to figure out which were my favourite products, I have pretty much liked the same stuff as what I did in January. Calvin Klein Summer - I am loving this perfume at the minute, I bought it on the plane coming back from Spain in the Summer and have used it pretty much every day since. It is such a nice flowery scent which does remind me of Summer (hence the name). Johnsons Baby Shampoo - What a brilliant product this is to clean your make up brushes with, I only bought a travel size one as you really don't need to use much of it at a time. I have used other products in the past and my brushes just end up smelling horrible, but now they just smell so clean. Nail Polish - I am not one for going for a non branded nail polish, however I received this last year for a Secret Santa present at uni and I got a huge pack of different nail polishes. This pink glittery one I have been picking up a lot, it so pretty and girly plus it lasts for about a week. 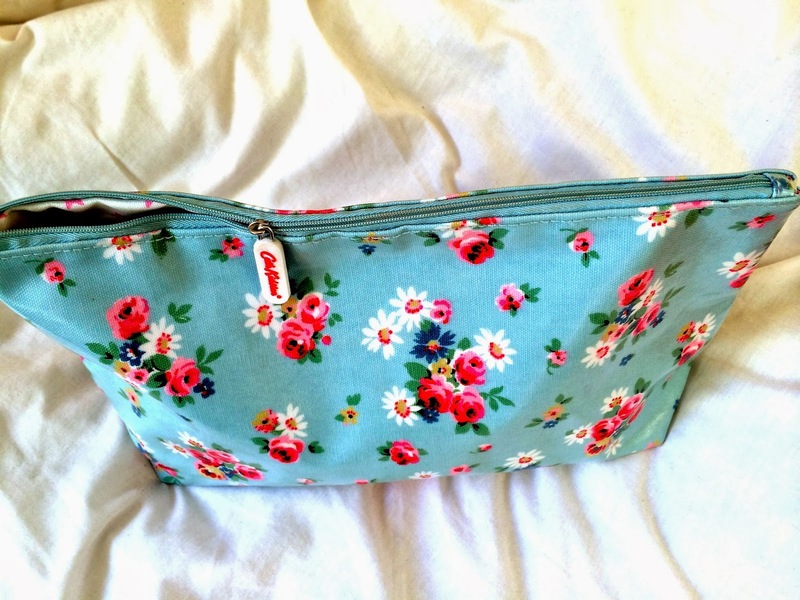 Cath Kidston - This toiletries bag has been a massive savior these past few months, I have been traveling from uni to home, to my boyfriends and also visiting other family members. This bag is the perfect size to fit my shampoo's etc and all my make up to take with me, its so much easier using one bag rather than carrying around two.